A FEW years ago, tough and tasteless baked goods were just one of the unpleasant things you had to put up with if you had a gluten sensitivity. Flash forward less than a decade, and it’s a completely different scene. Gluten-free cookies, pies and cakes are starting to rival their traditional counterparts. 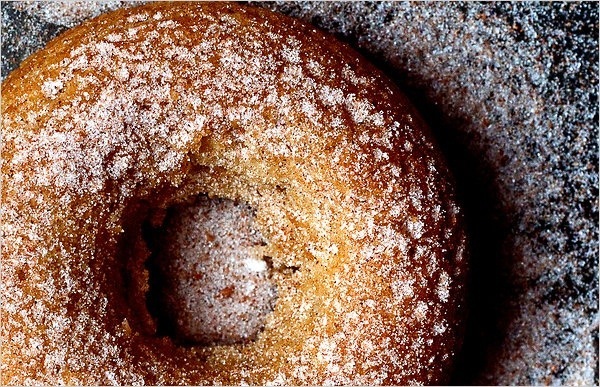 At Babycakes, a vegan and gluten-free bakery with branches in Manhattan and Los Angeles, Erin McKenna’s cake doughnuts are so feather-light and deeply flavored that no one would guess they’re wheat-free. And a whole-grain muffin recipe by Shauna James Ahern produces muffins so ethereal, fluffy and tender they seem like pastries from another planet — a sweet one, without gravity — and better than most other whole-grain muffins made with whole-wheat flour. Gluten-free baked goods have become tastier as demand for them has risen. More Americans — about 6 percent of the population, according to the Center for Celiac Research at the University of Maryland — have found that gluten, in wheat, barley and rye, causes health problems. What had been a niche market has become mainstream. This means that gluten-free foods, once relegated to health food stores and alternative cafes, are now solid citizens of supermarkets, mall restaurants and even baseball stadiums. For 20 years, Bob’s Red Mill, in Milwaukie, Ore., has included gluten-free products among the grains and flours it sells, but in the past four years it has increased that product line to include 70 gluten-free items and has seen its sales rise 35 percent annually. Even home cooks are turning out baked goods that might once have seemed esoteric, as supermarkets are carrying gluten-free flour mixes and a range of gluten-free flours, like sweet potato, sorghum, teff and oat. And gums like xanthan gum and guar gum that can give baked goods the structure and texture that gluten proteins would otherwise provide — once available only in laboratories and food-processing plants — are now probably in a health food store near you or, at the least, a mouse click away. There have also been a slew of cookbooks to help bakers navigate a gluten-free kitchen. More than 60 were published in 2010 alone. “When I first started baking without gluten, it was all trial and error, testing out all these unfamiliar flours like sorghum and teff and learning how to use them,” said Ms. Ahern, an author, with her husband, Daniel Ahern, of the cookbook “Gluten-Free Girl and the Chef” (Wiley, 2010) and the popular blog Glutenfreegirl.com. But years of practice and experimentation have paid off. When she first gave up wheat in 2002, she said, all of the pastries she tried were completely unsatisfying. “They were heavy and dry and just not good,” she said. That motivated her to start coming up with her own recipes and, eventually, to open Babycakes. Ms. Ahern said that when she first removed wheat flour from her baking, she felt like a mad scientist. The key for Ms. Ahern’s baking success was letting go of expectations. The most important lesson that Ms. Ahern learned was figuring out how much flour to use. A cup of gluten-free flour and a cup of wheat flour will have different weights, but gram for gram, they act the same. And the precision of gram measurements helps. Ms. Ahern recommends making your own flour blend rather than using a store-bought mix so that you decide what ingredients you want to include or leave out. Her exact mix changes with what she has in the house, but she finds that a ratio of 70 percent grain and/or nut flours (sweet rice, brown rice, cornmeal, sorghum, amaranth, teff, millet, oat, buckwheat or almond) to 30 percent starches (potato starch, arrowroot, cornstarch, tapioca) will yield an all-purpose substitute for wheat flour. A flour blend in that ratio worked well in several recipes. An almond layer cake baked up fragrant and buttery, albeit a little more crumbly than usual. A much-loved recipe for brownies was as fudgy and intense as always, though perhaps a shade stickier. Even a pizza came out reasonably well, with a full-flavored, crackerlike crust that had a pleasing if slight chew. The recipes also worked with a purchased flour blend, but they were drier and denser, with a slight metallic aftertaste that probably came from the bean flours in the mix. Ms. Ahern uses mostly whole grain flours, for two reasons. One is the increased nutrition. The other is that whole-grain flours have a higher protein than refined flours, and a high-protein content is essential to good gluten-free baking. That is why high protein and (sadly vegetal and metallic tasting) bean flours — garbanzo and fava — are often used in gluten-free flour mixes, to bump up the protein count. Gums are another way to help the texture of gluten-free pastries. “Gluten gives baked goods their chew, their crust and their structure,” said Rebecca Reilly, the author of “Gluten-Free Baking” (Simon & Schuster, 2007) and an instructor at the Natural Gourmet Cooking School. But gums are expensive and can cause stomach irritation in some people. Ms. Ahern has cut them out of her baking entirely. The proper ratio of grain flour to starch should do the trick, she said. Before you start custom-designing your flour mix, Pam Cureton, a registered dietitian at the Center for Celiac Research at the University of Maryland, recommends starting with a ready-made blend. “It’s expensive to mix your own flours,” she said. If you don’t like the taste of bean flours, she said, there are new mixes on the market without them (though many have the gums already added, so check the ingredient list if you want to avoid them). The one imperative to keep in mind if you are baking gluten-free in a usually gluten-filled kitchen, Ms. Cureton said, is to make sure there is no cross contact. Wheat flour can linger in the air for 24 to 36 hours. If it lands in your bowls and pans, it can contaminate them, very possibly making someone extremely sick. Similarly, it is wise not to buy gluten-free flours from bulk bins, because you never know if someone accidentally stuck the whole-wheat flour scoop into the millet flour. Her advice is to scrub your kitchen and put utensils, pans, bowls, cutting boards and sponges in the dishwasher before baking gluten-free. And to make sure your aprons and oven mitts are clean. “I always tell people that if they are going to do both gluten-free and gluten-filled baking, they should bake the gluten-free recipes first, when the kitchen is clean,” she said. But then again, maybe an easier route if you’re baking for mixed company is to just go gluten-free. With these recipes everyone will be happily fed from the very same platter. This entry was posted in Baking, Cooking, Culture, News, Science and tagged article, gluten-free, NY Times on June 1, 2011 by glutenfreepdx.